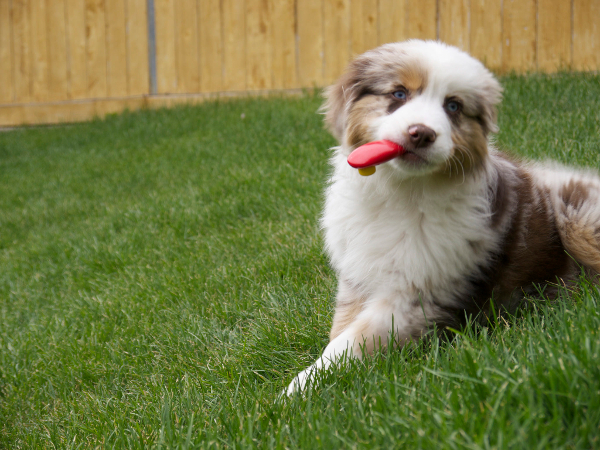 Clicker training refers to an animal training technique, derived from laboratory-based studies of animal learning and behaviour, in which a reward-predicting signal is delivered immediately following performance of a desired behaviour, and is subsequently followed by a reward. While clicker training is popular amongst dog training practitioners, scientific evaluation in applied settings has been largely unsuccessful in replicating the benefits of reward-predicting signals seen in laboratory animal studies. Here we present an analysis of dog trainers’ advice and perceptions, conducted to better understand clicker training as it occurs in the dog training industry. Twenty-five sources (13 interviews with dog trainers, 5 websites, and 7 books) were analysed using a deductive content analysis procedure. We found that, for many sources, “clicker training” referred not only to the technique, but also to a philosophy of training that emphasises positive reinforcement and the deliberate application of Learning Theory principles. Many sources reported that clicker training was fun, for both dog and handler, but that it could be frustrating for handlers to learn and sometimes cumbersome to juggle the extra equipment. In addition, while most sources recommended clicker training particularly when training new behaviours, many stated that it was no longer needed once the dog had learned the desired behaviour. When comparing industry recommendations to methods used in applied studies, different criteria were used for predictor signal conditioning. Inadequate conditioning of the predictor signal in empirical evaluations could partly explain the lack of learning benefits in applied studies. While future research is needed to verify the practitioner beliefs in a wider population, these results provide an in-depth description of what clicker training is, at least for the sources analysed, and a potential starting point for understanding methodological factors that could contribute to previous studies’ failure to demonstrate the benefits purported to exist by industry practitioners. Blandina, A.G. n.d. To click or not to click: Positive reinforcement methods on the acquisition of behavior. Unpublished thesis, University of Florida. Browne, C.M. 2015. The effects of delayed positive reinforcement on learning in dogs. Unpublished thesis, University of Waikato. Browne, C.M., Starkey, N.J., Foster, T.M., McEwan, J.S. 2013. Delayed reinforcement – does it affect learning? Journal of Veterinary Behavior: Clinical Applications and Research 8: e37-e38, doi: 10.1016/j.jveb.2013.04.039. Chiandetti, C., Avella, S., Fongaro, E., Cerri, F. 2016. Can clicker training facilitate conditioning in dogs? Applied Animal Behaviour Science 184: 109-116, doi: 10.1016/j.applanim.2016.08.006. Clayton, A. 2016. Opening Session. Lecture notes from ClickerExpo, Reno, Nevada, January 22, 2016. Cook, P.F., Prichard, A., Spivak, M., Berns, G.S. 2016. Awake canine fMRI predicts dogs’ preference for praise versus food. Social Cognitive and Affective Neuroscience, doi: 10.1093/scan/nsw102. D'Onofrio, J. 2015. Measuring the efficiency of clicker training for service dogs. Unpublished thesis, The Pennsylvania State University. Elo, S., Kyngäs, H. 2008. The qualitative content analysis process. Journal of Advanced Nursing 62: 107-115, doi: 10.1111/j.1365-2648.2007.04569.x. Feng, L.C., Howell, T.J., Bennett, P.C. 2016. How clicker training works: Comparing reinforcing, marking, and bridging hypotheses. Applied Animal Behaviour Science 181: 34-40, doi: 10.1016/j.applanim.2016.05.012. Feuerbacher, E.N., Wynne, C.D. 2015. Shut up and pet me! Domestic dogs (Canis lupus familiaris) prefer petting to vocal praise in concurrent and single-alternative choice procedures. Behavioural Processes 110: 47-59, doi: 10.1016/j.beproc.2014.08.019. Feuerbacher, E.N., Wynne, C.D.L. 2012. Relative efficacy of human social interaction and food as reinforcers for domestic dogs and hand-reared wolves. Journal of the Experimental Analysis of Behavior 98: 105-129, doi: 10.1901/jeab.2012.98-105. Fugazza, C., Miklósi, Á. 2014. Should old dog trainers learn new tricks? The efficiency of the Do as I do method and shaping/clicker training method to train dogs. Applied Animal Behaviour Science 153: 53-61, doi: 10.1016/j.applanim.2014.01.009. Fugazza, C., Miklósi, Á. 2015. Social learning in dog training: The effectiveness of the Do as I do method compared to shaping/clicker training. Applied Animal Behaviour Science 171: 146-151, doi: 10.1016/j.applanim.2015.08.033. Gerritsen, R., Haak, R., Prins, S. 2013. K9 Behavior Basics: A Manual for Proven Success in Operational Service Dog Training. Brush Education. Gillaspy, J.A., Brinegar, J.L., Bailey, R.E. 2014. Operant psychology makes a splash in marine mammal training (1955–1965). Journal of the History of the Behavioral Sciences 50: 231-248, doi: 10.1002/jhbs.21664. Grice, G.R. 1948. The relation of secondary reinforcement to delayed reward in visual discrimination learning. Journal of Experimental Psychology 38: 1-16, doi: 10.1037/h0061016. Hilles, S. 2014. To use or not to use? The credibility of Wikipedia. Public Services Quarterly 10: 245-251, doi: 10.1080/15228959.2014.931204. Langbein, J., Siebert, K., Nuernberg, G., Manteuffel, G. 2007. The impact of acoustical secondary reinforcement during shape discrimination learning of dwarf goats (Capra hircus). Applied Animal Behaviour Science 103: 35-44, doi: 10.1016/j.applanim.2006.04.019. Lattal, K.A. 1984. Signal functions in delayed reinforcement. Journal of the Experimental Analysis of Behavior 42: 239-253, doi: 10.1901/jeab.1984.42-239. Lattal, K.A. 2010. Delayed reinforcement of operant behavior. Journal of the Experimental Analysis of Behavior 93: 129-139, doi: 10.1901/jeab.2010.93-129. McCall, C.A., Burgin, S.E. 2002. Equine utilization of secondary reinforcement during response extinction and acquisition. Applied Animal Behaviour Science 78: 253-262, doi: 10.1016/S0168-1591(02)00109-0. Morse, J.M. 1995. The Significance of Saturation. Qualitative Health Research 5: 147-149, doi: 10.1177/104973239500500201. Pryor, K. 1999. Don't shoot the dog! The new art of teaching and training. 2 ed. Bantam Books, New York, New York. Skinner, B.F. 1938. The behavior of organisms: an experimental analysis. Appleton-Century, Oxford, England. Smith, S.M., Davis, E.S. 2008. Clicker increases resistance to extinction but does not decrease training time of a simple operant task in domestic dogs (Canis familiaris). Applied Animal Behaviour Science 110: 318-329, doi: 10.1016/j.applanim.2007.04.012. Topal, J., Byrne, R.W., Miklosi, A., Csanyi, V. 2006. Reproducing human actions and action sequences: "Do as I Do!" in a dog. Animal Cognition 9: 355-367, doi: DOI 10.1007/s10071-006-0051-6. Vegh, E.J., Bertilsson, E. 2010. Agility right from the start: The ultimate training guide to america's fastest-growing dog sport. Sunshine Books, Inc.
Wennmacher, P.L. 2007. Effects of click+continuous food vs. click+intermittent food on the maintenance of dog behavior. Unpublished thesis, University of North Texas. Williams, J.L., Friend, T.H., Nevill, C.H., Archer, G. 2004. The efficacy of a secondary reinforcer (clicker) during acquisition and extinction of an operant task in horses. Applied Animal Behaviour Science 88: 331-341, doi: 10.1016/j.applanim.2004.03.008. Wood, L. 2007. Clicker bridging stimulus efficacy. Unpublished thesis, Hunter College, New York, New York. Yin, S.A. 2004. How to behave so your dog behaves. TFH Publications, c2004. Zimmerman, D.W. 1959. Sustained performance in rats based on secondary reinforcement. Journal of Comparative & Physiological Psychology 52: 353-358, doi: 10.1037/h0045807. Zimmerman, J., Hanford, P.V. 1966. Sustaining behavior with conditioned reinforcement as the only response-produced consequence. Psychological Reports 19: 391-401, doi: 10.2466/pr0.1966.19.2.391.